Certified Nursing Assistants work closely with patients to provide basic care such as bathing, dressing, feeding, and mobility. They also measure and record vital signs, assist nurses with rehabilitative treatments, collect samples for lab tests, and set up and clean medical equipment. Apart from the physical responsibility, nursing assistants also manage patients’ social and emotional needs. Due to their constant interactions with patients, they are able to spot changes in their physical, mental, or emotional health and provide vital information to nurses and physicians. Many CNA classes in Illinois require a high school diploma or GED for admission. Candidates for training will also need to clear a background check, drug screen, and provide a negative TB report. The training program will cover academics and hands-on instruction – vital preparation for the Nurse Aide Exam required by the Illinois Department of Public Health (IDPH) for certification as a nurse aide. Nurse aide programs typically run for 5 weeks, making it one of the shortest preparation for a career in health. Graduates will have excellent job prospects due to the rising need for health professionals to tend to the aging population. Triton College’s nursing assistant program is designed to prepare adults to care for residents or patients in various health care settings. Experienced instructors will use lectures to support the development of basic nursing skills, lab activities to provide hands-on skills development, and clinical experience for students to apply the nursing principles in a real-world environment. Areas of study include infection control, basic nursing skills, anatomy and physiology, vital signs, personal hygiene, patient transfers, range of motion exercises, safety and emergency procedures, nutrition, and death and dying. Students have the option to complete elective courses to add venipuncture, medical terminology, ethical and legal responsibilities, and electrocardiography to their skill set. Graduates will receive a certificate of completion and will be eligible to take the Illinois Nurse Aide Test to be certified by the Illinois Department of Public Health (IDPH). The program tuition does not include fees, textbooks, and supplies. The nursing assistant program at Jethro Healthcare School delivers the academic and practical skills adults need to complete the Illinois Department of Public Health Nursing Assistant Certification Exam. The program covers 80 hours of lectures and demonstrations in the classroom – including 4 hours of CPR – and 40 hours of supervised patient care experiences in a clinical setting. The training will also include 4 hours of board exam review. The classroom instruction will cover topics such as anatomy and physiology, nutrition, basic nursing skills, infection control, medical terminology, personal hygiene, patient safety, and laws and ethics in practice. The clinical activities will provide opportunities to apply clinical skills in a real-world setting. A weekday and weekend schedule are available. The weekday class meets Monday, Wednesday and Friday from 5:00 pm to 9:30 pm and on Sundays from 7:00 am to 3:30 pm for the clinical experience. Th;e duration is 6 weeks. The weekend class meets Saturdays and Sundays from 9:00 am to 5:30 pm in the classroom and on Saturdays from 7:00 am to 3:00 pm for the clinical experience. The duration of the weekend class is 10 weeks. Tuition for the program is $950. A flexible payment plan is available. Other expenses include books, CPR, state exam, clinical uniform, fingerprinting, malpractice insurance, gait belt, BP kit, shoes, and TB test. EnVaNa Healthcare Training Center seeks to promote health and well-being through the preparation of capable professionals to meet the health care needs of the community. Graduates of the nursing assistant program will have the confidence to pass the State Nurse Aide Exam. The program delivers 120 hours of lectures and clinical experiences – 80 hours in the classroom and 40 hours in a clinical setting. Students will learn the fundamentals of nursing, meeting the needs and comfort of patients, ensuring client safety and security, promoting well-being, and infection control. 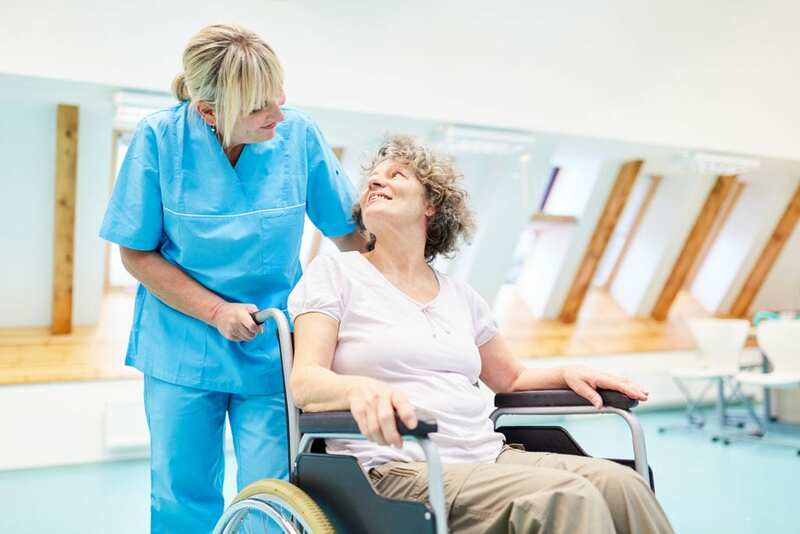 Course modules include Resident Rights and Nurse Aide Responsibilities, Infection Control in the Health Care Setting, Care of Resident, Emergency Procedures, End of Life Care, and Alzheimer’s Disease. Performance skills will include measuring and recording weight, pulse, respiration, and blood pressure, performing perineal care, giving a partial bath, making an occupied bed, turning and position patients, nail care, hand washing, ambulate with transfer belt, performing passive range of motion, and much more. Tuition for the program is $800.